Which DMX Interface is best? Try us out now! 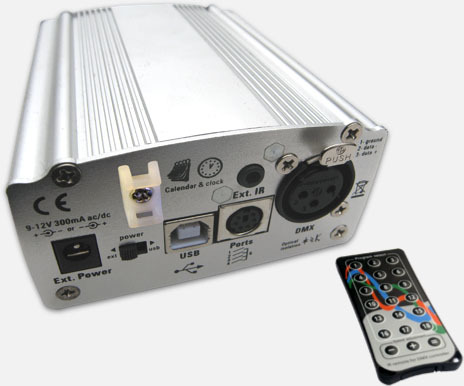 The dmx interface that is right for you will depend on your requirements. Use the feature comparison table below to help you choose. 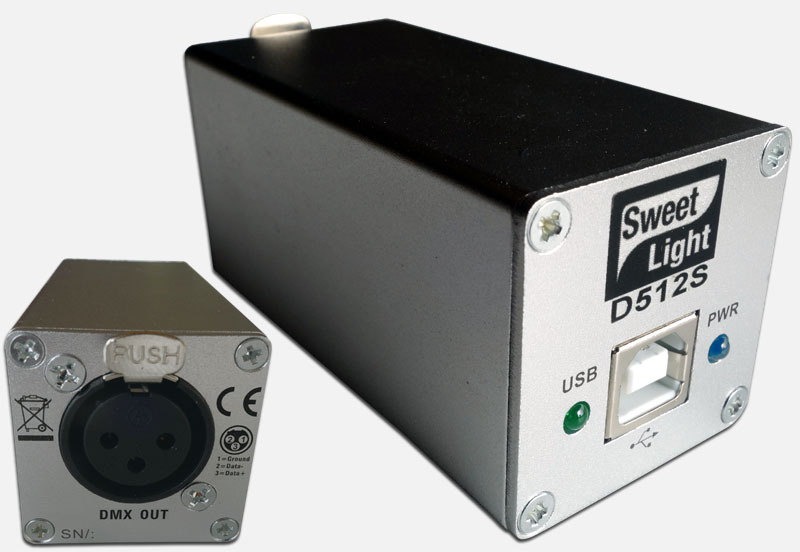 This dmx interface opens 512 dmx channels or 512 Artnet channels, with our software. 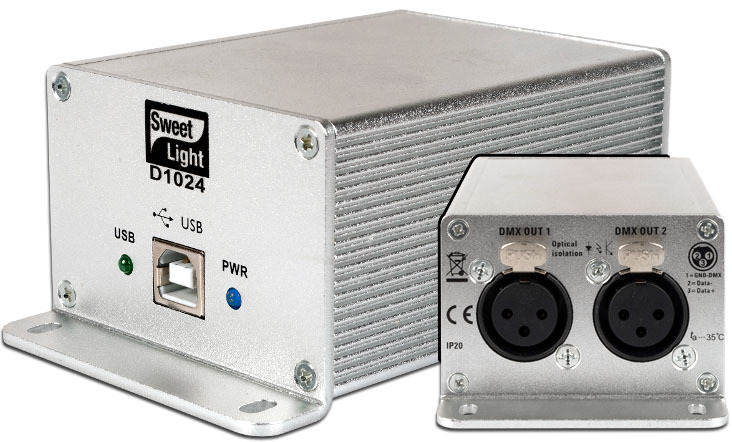 This dmx interface opens 1024 dmx channels or 1536 Artnet channels, with our software. Without using a computer, this interface is able to play up to 18 scenes over 4 different zones. These scenes can be triggered by the dedicated (or universal) IR remote controller, with control of speed of the show. An internal date&time calendar can also trigger these scenes. 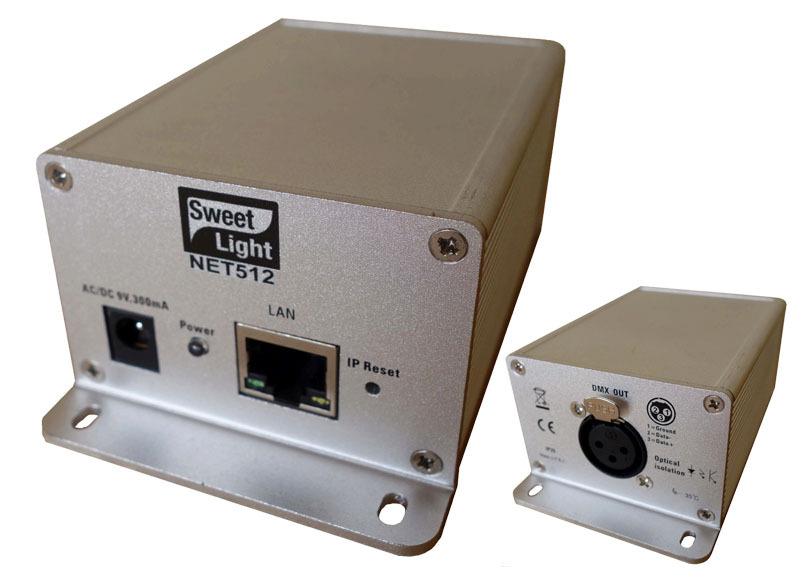 Without the need for a computer, the Net512 dmx interface is able to play up to 9 scenes over 4 different zones. These scenes can be triggered via an internet browser (Chrome, Safari, firefox, IE, …). An internal date&time calendar can also be used to trigger these scenes. It’s easy: you just select your DMX interface and you are ready to order! Please use the link below to contact SweetLight’s team.